Jurong East Ave 1, 5-minute walk to Chinese Garden subway. Interiors: Living/dining - marble tiles. Bedrooms: parquet. Eight 18/20-storey blocks (Blocks 1 to 8) and two 4storey blocks (Blocks 9 and 10). Ample car parking. games rooms, a gym, jogging track, steam and sauna rooms. Swimming pool, children's pool, tennis court, squash court, gym, 24-hour security system, putting green, spa pool, games room, mini driving range, function room, BBQ area, covered car park, fitness track, playground, sauna. The main one is the newer Parc Vista (638 units, 5-minute walk to Lakeside subway but newer by 3 years. Parc Oasis is an established expat enclave condo, popular with Japanese, Germans and expats working in Jurong and is a short 5-min walk to the Jurong East subway. 5-min walk to the Chinese Garden subway. Expat enclave. German Business Park nearby and many Japanese expat families too. Town Hall Road, approximately 19 km from the city centre. The Chinese Garden is sited just next to the estate. Other notable landmarks in the vicinity include Singapore Science Centre, French-Singapore and German-Singapore Institutes, Jurong Town Hall and the Jurong Country Club. Within close proximity are other public housing estates such as Jurong West New Town, Teban and Pandan Gardens and Taman Jurong. Far from downtown but rents are lower. Investment potential: 99 years leasehold. Both Parc Oasis and Parc Vista are surrounded by Housing Development Board apartments but are popular with Jurong expats because of 5-minute walking distance to the subway. 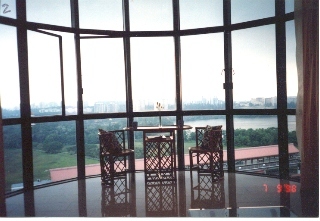 Tenants may prefer high floors with no obstructed views or beautiful serene lakeside green views. 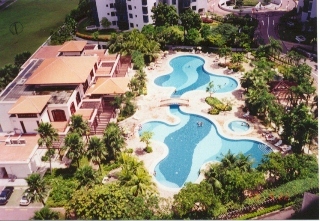 Parc Oasis 3+1 1378 sq. ft, high floor, fully & well furnished. $3,500. 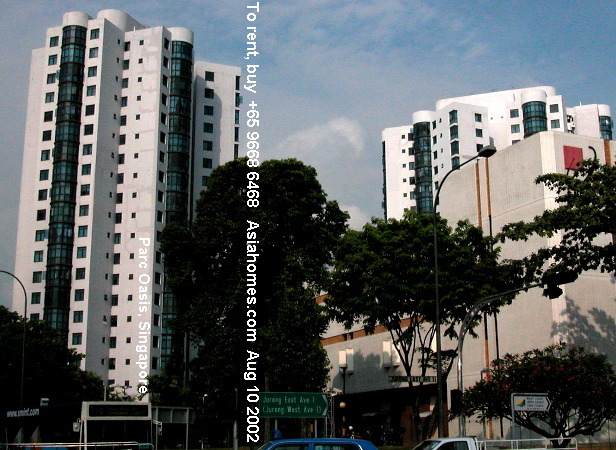 Case study: Factors making a good Singapore property investments: Expatriate enclave & subway. For best rental returns, always buy Districts 9, 10, 11, 21 and the condos within a 5-minute walk to the subway. they feel a great loss of privacy and the high density. High floors are favoured by most Japanese. Unblocked views preferably with green tree leaves, sea or water. Caucasians do take low floors but usually above 2nd floor. Many Caucasians are afraid of heights (over 10th floor) unless they have lived in high rises in New York and Hongkong. Families with small children love ground floor units and rents can be higher as demand exceeds supply in certain condos like Duchess Crest. Proximity. A 5-min walk to the subway makes a condo very rentable, provided the ride is less than 30 minutes to downtown. TIPS for Investors buying Singapore condos for rentals to Caucasian expatriates. Single Caucasian ladies will seldom take up ground floor units owing to worries about security. Many are bankers and professionals in their fields. Most Caucasian families dislike ground floors unless they have dogs and toddlers. Caucasians from Europe and the USA prefer balconies as they like to sun-bathe since the sunny days are very few in those countries like Holland. Condos facing the West and the sun are actually in favour for many Caucasians. Sun-block curtains will help to block out sunlight if necessary. Light for the house. Bright kitchens, floor-to-wall windows bringing in daylight are popular with expatriates. Landscaped garden and/or swimming pool attract Caucasian Tenants. A koi-pond sometimes help but may be considered an expense. However, the decor and pastel marble tiles (not black granite) help closing. Older houses like bungalows with renovated flooring, baths and kitchen cabinets and wardrobes and with big garden space and landscaping get many offers. Waterfront Condos like those in Costa Rhu and Pebble Bay attract Tenants with no children studying in Clementi areas, otherwise bus-rides take over an hour. Some Caucasian expats do not mind if the spouse works in Changi. Most units do not have waterfront units, so be careful. By waterfront, we mean living and master bedroom have panoramic view of the water, not the pool. Sea views usually found in high floors (above 15th) such as those in The Bayshore attract Japanese and Caucasians. Pool views. Many Singaporeans think pool view is a premium. Caucasians living on high floors do not see the pool especially if there are other buildings opposite. Vacant piece of land nearby. Avoid investing in housing adjacent or near vacant pieces of land. Expats are nowadays more sophisticated and have more choices, not to stay near the pounding noises and dust of construction sites. Singaporean Landlords prefer the Caucasian and Japanese Tenants in general. Indonesian Nationals are increasing in numbers nowadays but usually ask for short leases. Indian Nationals are gaining acceptance and many are professionals in computer field or finances. Singaporean Landlords dislike Singapore Citizens as Tenants. 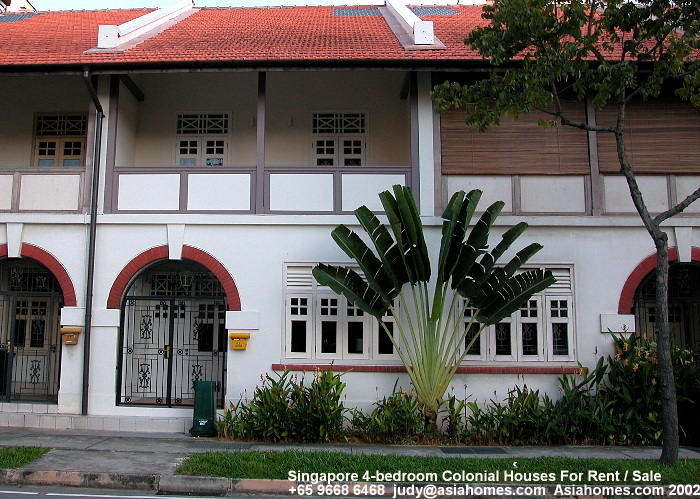 Singaporeans want cheap and good and are not perceived not to look after the residence well. There are exceptions. Rentals nowadays have plummeted. 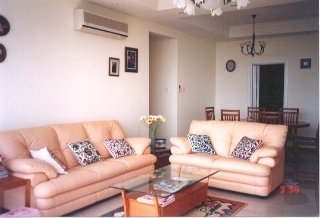 2-bedroom condos in suburban areas, such as The Symphony Heights rent for less than S$2000 fully furnished. Bungalows with pool in prime Raffles Park areas rent for around $10,000 - $20,000 but much depends on the budget of the expatriate.